Those who want some measure of off-road ability might fare better with a truck-based vehicle like the Explorer. Ford doesn't suggest that the 2009 Ford Edge is intended for off-roading, though with the available all-wheel drive, it should be fine with snow and mud. Provided you don’t mind the lack of a third-row seat, the 2009 Ford Edge stands out in a crowded field as thoroughly competent, well rounded, and fashionable. TheCarConnection.com consulted some of the best review resources on the Web to assemble this review on the 2009 Ford Edge. Then expert editors added their own insights and firsthand driving experience with the Edge to make the review especially useful to a range of shoppers. The 2009 Ford Edge is a tall utility vehicle that’s actually more carlike in its performance; the five-passenger Edge made its debut last year and comes standard with a 3.5-liter, 265-horsepower engine and a six-speed automatic transmission, along with either front-wheel drive for the more economically minded or an available all-wheel-drive system for those in winter-weather locales. From the outside, the large, bright grille in the 2009 Ford Edge is the prominent design feature. Some will love it, but for others it’s probably a little too overt...or gaudy. 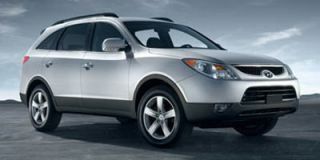 But the rest is undeniably positive; the smoothly arched roofline and attention to details translate to one of the most attractive profiles among crossover vehicles. Inside, it’s somewhat more traditional and low-key, with a sporty, upright design for the instrument panel and controls. The layout is attractive and simple, though the materials and surfaces are a half step in look and feel behind the best rivals. Seating is a high point all around; front seats are ample and supportive, and in back the second row can recline to different degrees and is split 60/40 for flexible combinations of cargo and passengers. With the front passenger seat folded down, items measuring up to eight feet in length can be transported within the Edge. 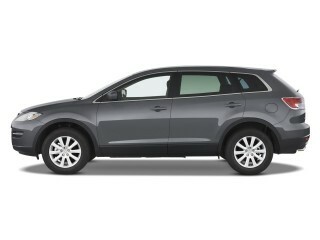 But the cargo area at the back is restricted a bit by the sloping rear window. Each rear seat can also be folded manually using a single-hand release—a feature quickly becoming the benchmark among utility vehicles and wagons—or automatically with an available EasyFold electro-mechanical remote release accessible from the rear cargo area. The suspension in the 2009 Ford Edge strikes just the right balance for most buyers, allowing a ride that’s soft enough to soak up the more jarring bumps yet has enough body control for crisp changes of direction. It's not altogether sporty, though; there's some body lean if you go into a corner too quickly, but the Edge maintains its composure. The V-6 has plenty of power to move the 2009 Ford Edge briskly with full loads or up mountain grades, but lacks the manual control over the gears that makes some types of driving more enjoyable. Ford’s SYNC system for controlling entertainment and communication systems, a voice-activated navigation system, and a new, large, panorama-style Vista Roof are among the standout features on the 2009 Ford Edge. 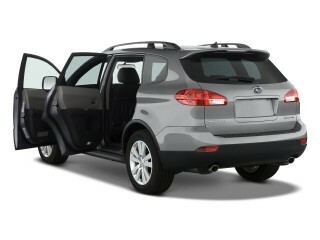 A power liftgate is now optional, as are 20-inch chromed wheels and brassy red-trimmed front seats. Sirius Travel Link, a useful feature that provides real-time traffic and weather information, as well as current gas prices at nearby gas stations, is a new option for 2009. AdvanceTrac with Roll Stability Control, anti-lock brakes, front-seat side airbags, and side-curtain airbags are all on the standard equipment list for the 2009 Ford Edge, which gets top scores across nearly every federal-government and insurance-industry crash test and is an IIHS Top Safety Pick for 2009. Despite its ho-hum interior, the 2009 Ford Edge is easily the most attractive of Ford's utility models. For 2009, Ford has broadened the Ford Edge lineup with an all-new Sport model. Little else has changed in terms of interior or exterior styling for the 2009 Ford Edge, and reviews read by TheCarConnection.com are quite satisfied with the Edge’s styling—at least from the outside. Ford was not the first to arrive on the crossover scene, but over the last couple years, the company certainly seems to have figured out how to produce an attractive CUV. The latest Ford Edge comes in "SE, SEL, and Limited trims," which are "joined by the Sport model for 2009," according to ConsumerGuide. Car and Driver claims that "the styling is terrific" on this latest Ford Edge, and while Cars.com describes it as "a bulky wagon," they don't necessarily mean that in a bad way, since they go on to contend that the Ford 2009 Edge is "a good-looking...capable crossover." The newcomer to the 2009 Ford Edge lineup is the Ford Edge Sport, which offers significant visual enhancements over the base models. Road & Track says the Ford Edge Sport "gains an eight-piece body kit and standard 20-inch wheels (with optional 22s)." Automotive.com adds that the 2009 Ford Edge Sport "marks the first time a 22-inch wheel-and-tire combination has been offered on any crossover." 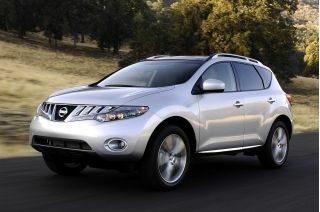 The other major change, according to Cars.com, is the inclusion of "smoked taillights and headlamps." The 2009 Ford Edge's interior styling is not quite as radical or well received as the exterior, but it also doesn't have any glaring deficiencies. ConsumerGuide gives the interior high marks for its utility, reporting that "the climate controls are handy and simple to use," while "the gauges and available navigation screen are easy to read for the most part." Road & Track notes the interior seats feature "a pleasing fuzzy cloth insert done in a small checkered pattern" that, when "combined with the acid-dipped aluminum center console," helps the Ford Edge Sport achieve the "somewhat old-school character of a sports car." The gripes about the interior are pretty well summarized by Kelley Blue Book reviewers, who feel that the "more familiar interior styling doesn't quite live up to the expectations set by its cutting-edge sheetmetal, but it's nonetheless attractive." The 2009 Ford Edge offers some performance bite to back up its visual bark. 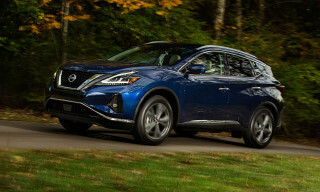 The principle behind the crossover seems simple enough: Combine a sedan's handling and fuel economy with the space afforded by a mid-size SUV, and you're sure to have a runaway hit. That doesn’t always prove to be the case, with many of them ending up heavy and sluggish—and short on driving enjoyment—but the 2009 Ford Edge is one of the front-runners in the performance department, thanks to its capable engine and smooth ride. The Ford 2009 Edge is motivated by a "standard 265-horsepower, 3.5-liter V-6 with 250 pounds-feet of torque," according to Cars.com, and the engine helps the Ford Edge "tow up to 3,500 pounds when properly equipped." ConsumerGuide testers report that the 2009 Ford Edge "has good power from a stop" and the factory claim of 0-60 mph in 8.4 seconds "feels about right." Kelley Blue Book heaps praise on the Ford Edge's engine as well, reporting that "more significant than how quickly the Edge was able to merge and pass was how pleasantly it did so, with none of the racket and drama we might have expected from such a vehicle only a few years ago." Other reviews read by TheCarConnection.com serve only to reinforce these glowing reports on the Ford 2009 Edge's drivability. While the engine on the 2009 Ford Edge is a surefire winner, the transmission suffers from a few problems. ConsumerGuide says the Ford Edge "is available with front-wheel drive or all-wheel drive," but in either version, the Ford Edge can be "hesitant to downshift without a deep stab of the gas pedal." 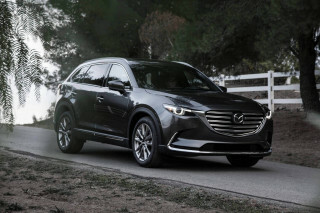 Car and Driver adds that the transmission "tends to hunt annoyingly at highway cruising speeds," while Kelley Blue Book says, "for the small percentage of drivers that would utilize it, the Edge's lack of manumatic shift capability could be a disappointment." On most SUVs, a manumatic feature would be a bit unnecessary, but given the 2009 Ford Edge's more carlike aspirations, it would have been nice to see one included. One of the major benefits of a crossover is the increase in fuel economy versus traditional SUVs, and in this category the 2009 Ford Edge offers mid-range performance. Car and Driver attests that the Ford Edge "delivers decent gas mileage," which the EPA estimates at 17 mpg city and 24 highway for two-wheel-drive versions. The 2009 Ford Edge features a traditional carlike unibody construction, which Car and Driver says give the Edge "more sophisticated handling and better ride quality than a traditional body-on-frame SUV," but some reviewers aren't completely sold. Kelley Blue Book, for instance, warns that "the Ford Edge doesn't corner as aggressively as its sporty appearance may suggest," but in terms of ride quality, they say that the Ford Edge "hits the mass-appeal sweet spot in ride and handling." ConsumerGuide loves the Ford Edge's suspension, noting that the Ford Edge, when equipped with 18-inch wheels, "smothers bumps better than many competitive crossovers." The 2009 Ford Edge Sport, which features larger 20- or 22-inch wheels, offers "a noticeably rougher ride, but it is still fairly composed over cracked pavement," according to ConsumerGuide. Unfortunately, despite all the Ford Edge's handling attributes, Cars.com is still disappointed to find that the brakes are "not the car's greatest attribute," and some reviewers there consider "the pedal mushy and stopping power only fair." A long road trip in the 2009 Ford Edge shouldn't be a problem thanks to its above-average cargo capacity and very comfortable seats. Anyone interested in the 2009 Ford Edge will be pleased to discover that the interior is roomy, accommodating, and very comfortable. The 2009 Ford Edge is a "five-seat crossover," according to Cars.com, that is "easy to get in and out [of] without climbing," thanks to its "car-based design." After easing through the doors, Car and Driver contends that occupants will find themselves inside a "roomy interior with ample space for five." ConsumerGuide raves about the layout of the front seats, pointing out that "legroom is ample" and "even with the Vista Roof, six-footers will have sufficient headroom" while enjoying the "all-day comfortable" front seats. The rear bench seat proves to be a hit as well, with Kelley Blue Book reporting that the Ford Edge offers "an especially roomy back seat with reclining seatbacks and a center console big enough to swallow a laptop or purse," while ConsumerGuide adds that "the rear bench is supportive and offers generous legroom, knee clearance, and foot space." In addition to its supremely comfortable seating arrangement, the 2009 Ford Edge offers versatility and practicality in the form of a cavernous cargo space. ConsumerGuide says that the Ford Edge "has generous cargo space, even with the rear seatbacks raised." Car and Driver agrees, finding that "cargo room behind the rear seats [is] 32 cubic feet, 70 cubes with the rear seatbacks folded." Cars.com reports that, "for 2009, Ford has added passenger grab handles and a cargo management system for better cargo and passenger flexibility" while also mentioning that the Ford Edge features a "generously sized center console storage bin." While the 2009 Ford Edge has many appealing qualities in this category, it is definitely not without its share of faults. Chief among the criticisms levied against the Ford 2009 Edge is that the quality of the interior materials is subpar—at least in look and feel. ConsumerGuide, for example, points out that "hard plastic trim dominates Edge's cabin, but most pieces don't look cheap," although Edmunds finds that "many of the interior materials are of low quality." On the positive side, Road & Track reviewers appreciate the "thicker, leather-wrapped steering wheel with white stitching" and "pleasing fuzzy cloth insert" in the seats, which add a small dose of upscale ambiance. One pleasant surprise on the 2009 Ford Edge is the subdued atmosphere of the cabin, which Cars.com calls "noticeably quiet" at highway speeds. Although Cars.com says that the "engine sound penetrates when it's working its hardest," and ConsumerGuide calls it "gruff in full-throttle acceleration," both reviewers are impressed with how composed the engine is when cruising. 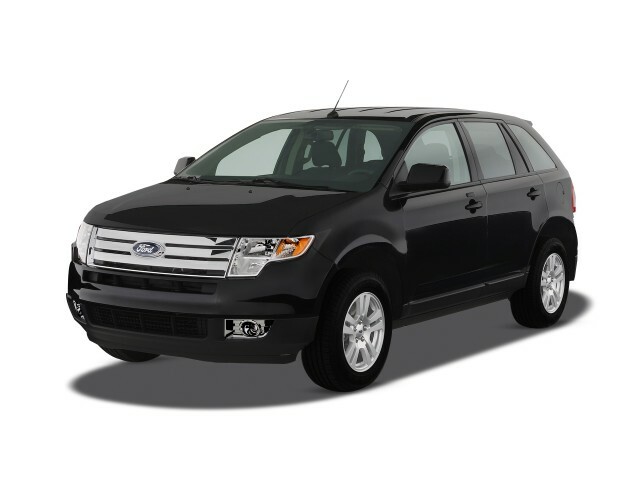 Drivers of the 2009 Ford Edge can feel secure knowing that they command one of the safest vehicles on the road. 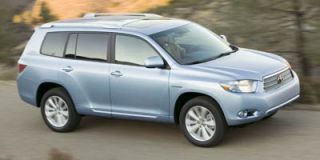 In the world of family-friendly crossovers, safety considerations rank near the top of the list when it comes time to make a purchase. That should bode well for the 2009 Ford Edge, which TheCarConnection.com has discovered is one of the safest vehicles around. In independent crash tests, the 2009 Ford Edge racked up a nearly perfect scorecard from both NHTSA and the IIHS. In IIHS tests, the 2009 Ford Edge earned the highest possible rating, "good," in both the frontal offset and side impact tests. 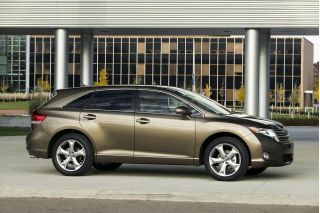 In addition, the IIHS awarded the Ford Edge its 2009 Top Safety Pick award based on its impressive crash-test results. The Ford 2009 Edge also scored highly in NHTSA tests, earning a perfect five-star rating in the front driver side impact as well as both side impact categories. The only blemish on the 2009 Ford Edge's safety ratings comes in NHTSA front passenger side impact test, where it earned four out of a possible five stars. Reviewers have also started to notice the Ford Edge's performance in crash tests, with Cars.com declaring that the "Edge's crashworthiness is top-notch." Aside from the protection afforded by the crash structure of the 2009 Ford Edge, the engineers at Ford have packed a very sophisticated array of safety equipment into the new Edge. According to Car and Driver, the 2009 Ford Edge includes "front, front side, and curtain airbags." Automotive.com also notes that the Ford Edge features "the latest version of SYNC which adds 911 Assist—with no monthly fees." Other electronic safety aids include a "standard electronic stability system with rollover mitigation" and "standard blind spot mirror," according to Cars.com. Visibility is another strong suit for the 2009 Ford Edge, with ConsumerGuide reporting that the "low dashboard and chair-height seats provide good overall visibility." 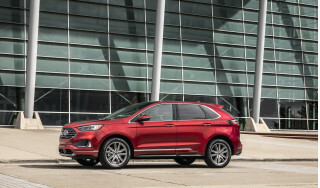 Cars.com also finds that "visibility is pretty good to the rear," but for those pesky blind spots, they note that the Ford Edge offers a "standard blind spot mirror" and available "reverse sensing sonar" on SEL, Limited, and Sport models. The 2009 Ford Edge brings high-tech amenities to the masses; to get some of them, you’ll have to pay a considerably higher price. The Ford Edge returns for 2009 with a few more features than it boasted last year, and the latest additions should prove incredibly useful. This is just the latest step in Ford's recent emphasis on improving its features offerings, and reviews read by TheCarConnection.com appreciate the effort. The standard features on the 2009 Ford Edge vary significantly across the trim levels, but the base Ford Edge SE doesn't scream "low-end" like some base models. ConsumerGuide reports that the Ford Edge SE includes full power accessories and an "AM/FM/CD/MP3 player, digital-media player connection," and "variable-intermittent wipers." They also note that the Ford Edge SEL adds a "leather-wrapped steering wheel w/radio controls, 6-way power driver seat," and "in-dash 6-disc CD/MP3 changer," as well as "satellite radio." 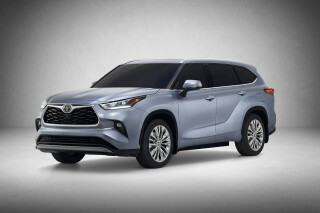 The Limited model is even more luxurious, and Car and Driver says that it is "already as well equipped as the average army base," offering standard heated leather seats, dual-zone climate controls, an upgraded sound system, and Bluetooth wireless connectivity. The optional features on the 2009 Ford Edge are very desirable, but Car and Driver points out that "options are tied to the model," meaning that they're not all available on every trim level. For example, Cars.com notes that the "optional voice-activated navigation system" and "dual-screen DVD entertainment system with screens integrated into headrests" are not available on the SE version of the Ford Edge. One of the standout features found on the new Ford Edge, according to Cars.com, is the "SYNC hands-free system, a joint venture with Microsoft...[that] allows drivers to control Bluetooth-enabled mobile phones and MP3 players with steering-wheel buttons and voice commands." Another headline addition for 2009 is the optional Sirius Travel Link, which Automotive.com says will give "drivers and passengers access to up-to-the-minute information and entertainment including coast-to-coast coverage of real-time traffic and weather reports" and "fuel options from more than 120,000 stations sorted by price and distance." Ford Edge has proven to be a great car.